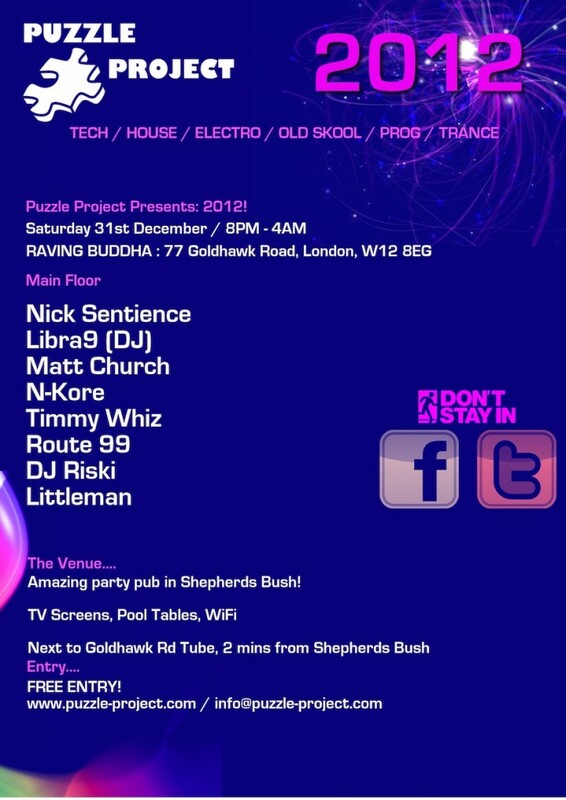 Kicking off your New Year we proudly present some of London’s finest DJ’s, All of them playing with a slight Twist…. 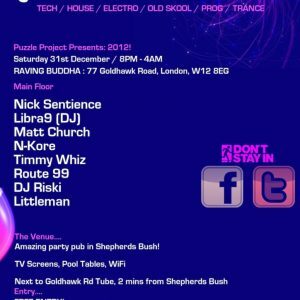 Nick Sentience known to most as probably one of the biggest harder style DJ’s will be showcasing some of his more techy and proggy style material. Libra9, known to some as Phil Lankester will also be re-organising his bag in favour of some tough proggy psychedelic material… very rarely heard! 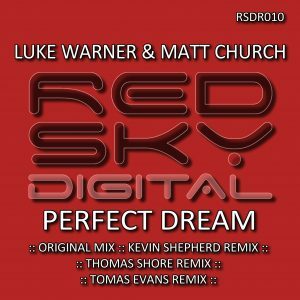 Matt Church… Well what could we say about Matt other than he’s certainly one who knows how to get you all revved up with some Techy madness! N-Kore who recently collaborated with our headliner on some material will also be downing tempo for the night in favour of some more Psychedelic mischief! 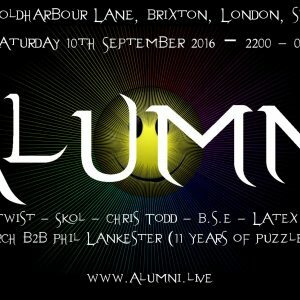 We welcome back Route ’99’ who played for Puzzle under his other guise, DJ Akanski…. He Amazed us with his flawless mixing style and kept the crowd wanting more! And finishing you all off for the night will be DJ Riski with some Tough Breaks and Drum & Bass!!! 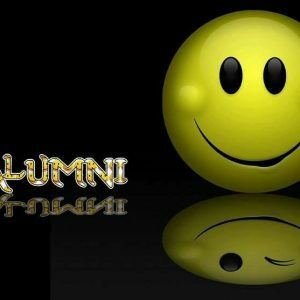 So there you have it, a night of fun filled intelligent music, taking you on a twisty journey into 2012, Happy New Year! Free entry before 11 / £5 after..